Oily fish – such as tuna, herring, salmon, and sardines – are packed with omega-3 fatty acids that neutralize internal inflammation and reduce anxiety symptoms. A study by Ohio State University researchers found that oily fish helped reduce anxiety symptoms by up to 20% in a blind test. Two groups of students were observed for several weeks to track their stress levels. One group was given fish oil supplements while the other group was given a placebo pill. Researchers concluded that fish oil made a significant impact on the first group’s anxiety issues. Consuming at least four ounces serving of fatty fish three times a week is a great way to protect yourself from anxiety symptoms. Chamomile tea is prized for its calming and healing benefits. In fact, chamomile tea has been used for hundreds of years as a treatment for anxiety. In one study, researchers monitored the progress of two groups of patients diagnosed with mild to moderate generalized anxiety disorder (GAD). One group was given chamomile extracts and the other was given a placebo. Patients given a dose of chamomile extract saw modest improvement in anxiety symptoms. Eggs are not only beloved by dieters; they are also perfect for patients suffering from severe anxiety disorder. Eggs contain high levels of B vitamins that help rebalance the hormones, altering mood. Studies show that those deficient in vitamin B are more likely to suffer from anxiety symptoms including confusion, irritability, and mood swings. The good news is, there are so many ways to incorporate vitamin B rich foods to your diet. Apart from eggs, beef, pork, and citrus fruits are also high in these nutrients. However, eggs contain the highest levels of B vitamins plus choline, which is crucial for brain health. Good bacteria from probiotic-rich foods help reduce irritability, nervousness, and other symptoms related to anxiety disorder. Probiotic helps prevent bad bacteria from multiplying in the gut. These beneficial microbes also promote proper absorption of nutrients, healthy colon, and better digestion. Irish researchers also found that probiotics reduced behaviors associated with stress, anxiety and depression among lab mice. The study was published in Discovery magazine. Just like chamomile tea, green tea is an excellent mood enhancer. It contains L-theanine, an amino acid that calms the mind. Studies show that taking about 200 milligrams of L-theanine reduced anxiety among anxiety-prone university students. Green tea is also packed with antioxidants that neutralize the effects of environmental stress. Apart from its anxiety-busting nutrients, the act of drinking green tea itself promotes a calm mind. Drinking tea mindfully reduces blood pressure and slows down the heartbeat. 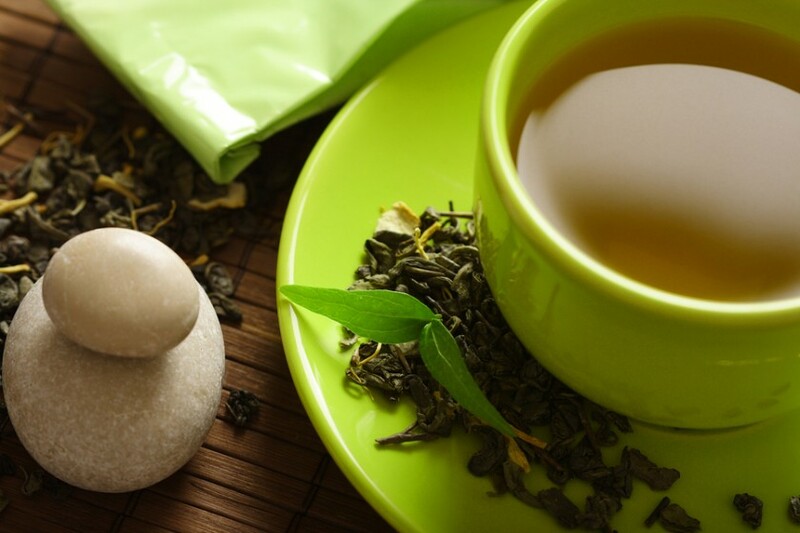 So whenever things get too overwhelming in the office or at home, sit down and savor the taste of green tea.